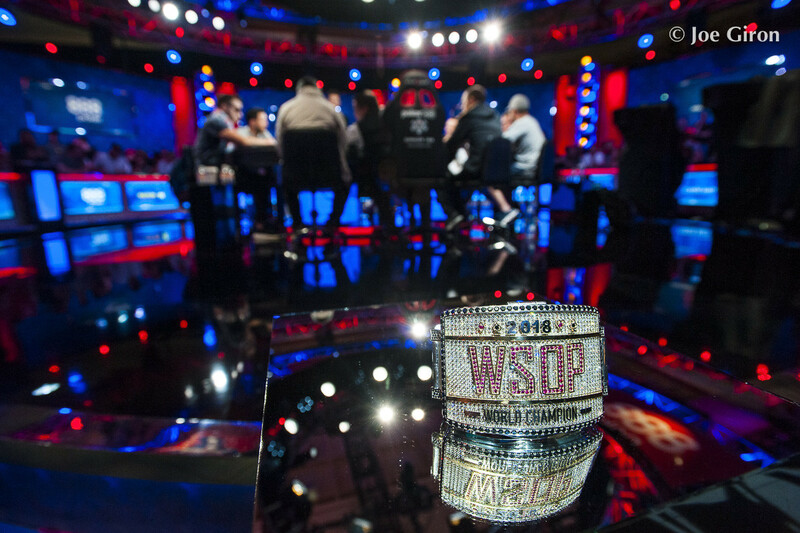 The 2018 World Series of Poker Main Event is ready for the final table! After seven full days of playing, only nine players from the second-largest field of 7,874 are left standing. Each of them can already call themselves a millionaire, as the 9th place is already worth $1,000,000. 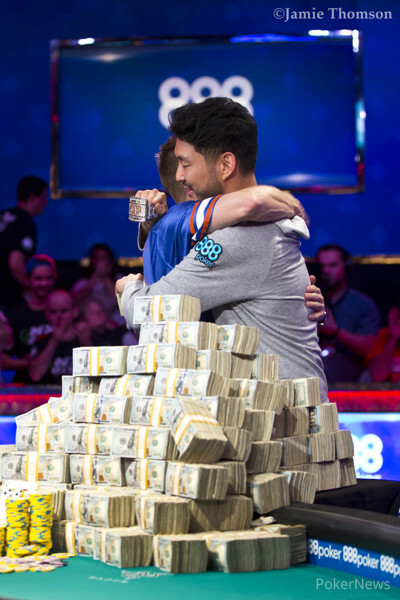 There will be no days off for the final nine; they'll all return to the Rio All-Suite Hotel and Casino at 5:30 p.m. to continue their quest for the most coveted WSOP Gold bracelet, as well as the life-changing first place prize of $8,800,000. The nine remaining players return to action today at 5:30 p.m. local time to commence the final table. 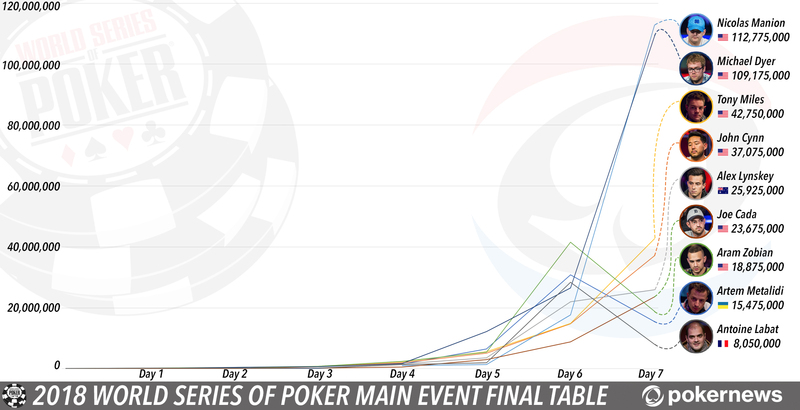 When play gets under way, the clock will have 1 hour, 23 minutes and 57 seconds left in Level 36, with blinds at 300,000/600,000 and a running ante of 100,000. Play is scheduled to continue until six players remain, with Friday reserved for playing down from six to three. On Saturday, the three remaining players will play down to the eventual champion. PokerNews will be your one-stop shop for hand-for-hand coverage of the final table, so stick glued to your screen to not miss any of the action. We'll bring details of all the hands, live and without delay as play unfolds. 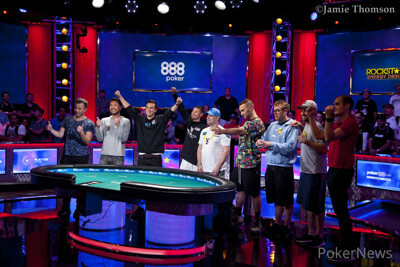 ESPN will bring you live coverage of all three days of the final table. The live World Series of Poker broadcast will begin on Thursday, July 12 at 6 p.m. ET. Hole cards will be shown and action will be broadcasted with a 30-minute security delay. PokerGO live streaming is available in non-ESPN or non-ESPN affiliate regions.